Watch Outpost on Amazon or read more articles on film and television. You too can earn money from writing articles by signing up for InfoBarrel. 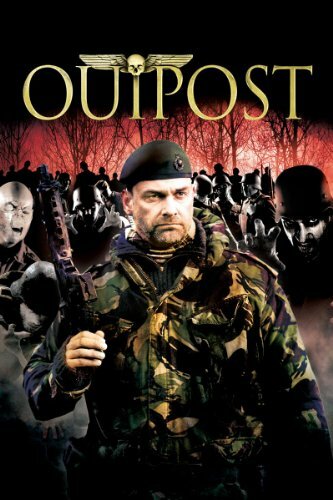 Outpost is set somewhere in a war torn country in Eastern Europe where scientist and possibly businessman Hunt (Julian Wadham) employs former Royal Marine turned mercenary DC (Ray Stevenson, Big Game, The Three Musketeers) to hire a team of mercenaries. DC and the six hired mercenaries are to accompany Hunt and to protect him as he travels to a location in which his unnamed backers have an interest. At their destination is an underground bunker. The bunker is left over from World War II, and there the Nazi SS were performing experiments on live, and presumably willing, SS soldiers in order to create unkillable super soldiers, soldiers who could not die. Soon the team start seeing things, and the bunker isn't as deserted as it appeared. As well as a pile of recent looking corpses, there is one person alive, the "breather" (Johnny Meres). Credit: http://en.wikipedia.org/wiki/File:Outpostposter2008.jpgUnfortunately for the mercenaries, the original soldiers that were subjected to the experiments are not dead, or rather, not dead enough, as the SS's experiments were at least somewhat successful and the intruders come under attack from zombie-like SS soldiers left over from the war. These aren't your average brainless shambling undead either; they still possess the skills they originally had as soldiers. Admittedly, they don't seem to be particularly nice natured. Nazi super science and occultism are not a new theme in any type of fiction. The Nazis, and the SS under Heinrich Himmler in particular, were obsessed with occultism and this, along with their supposed super science (Nazi flying saucers being a favourite theme), has been a popular fiction device for some time. This is a bit of a different type of super science though; zombies are not the usual outcome of their science. Outpost is not a bad horror film, especially as it was very low budget - the couple behind the film re-mortgaged their house to raise £200,000 to make it. There are no real special effects as such. Instead, there is just some atmospheric lighting with quite a few guns and some makeup. A lot of the film takes place in dimly lit areas underground or outside at night where visibility is limited, and what lights there are inside have a nasty tendency to drop out when the SS zombies attack. The film relies more on glimpses of things and imagined images, rather than the more common effects driven horror of today. Be warned, there are some pretty unpleasant scenes when the zombies attack the mercenaries (which probably led to the 18 certificate). The zombies themselves are rarely fully seen and seem inhumanly strong, as well as being extremely resistant to damage. Although Outpost was not available everywhere theatrically, it was released in over 100 cinemas in the UK. In the US, though, it went straight to DVD. Its overall success was good enough that a sequel, Outpost: Black Sun, was released. Outpost is a surprisingly decent film that is well worth a watch; it goes to show that you don't always need a multi million dollar budget to make something enjoyable. 3/5.